The 13th Annual Wayne Art Center Plein Air Festival kicks off Monday, May 13, with the arrival of 32 juried, nationally recognized and emerging artists who come to Wayne, Pennsylvania to capture the cool atmosphere and lush greens of spring in the Delaware Valley. Traveling from location to location over the course of five days, artists swiftly paint “en plein air” (French for open air), creating a trove of work unimaginable to most. 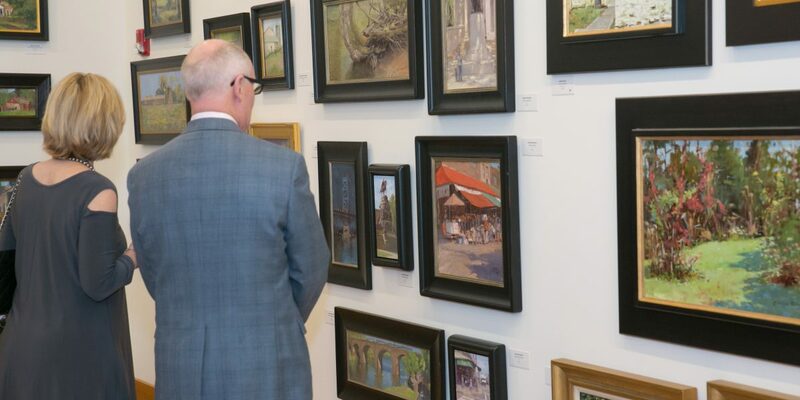 As one of the premier plein air events in the country, Wayne Art Center’s Plein Air Festival offers artists the unique opportunity to showcase work created during the festival in spacious, light-filled galleries during an exhibition that hangs until the end of June. This year’s juror, Joe Paquet, comes to Wayne Art Center from Minneapolis, MN. Paquet is an Emeritus Member of The Plein Air Painters of America, The Salmagundi Club and a Signature Member of The California Art Club. Last year, with support from our committed sponsors, Wayne Art Center’s Plein Air Festival raised more than $100,000 which went directly toward supporting our mission to offer students, artists, and the broader community the valuable experience of arts education and appreciation. We hope for even greater success this year and welcome your commitment as a business sponsor.